Continuing Teacher's Day card making for my daughter. This card, again I am not sure if my daughter want to dedicate to her Malay or English language teacher. Thus, I just make the sentiment as simple as possible. 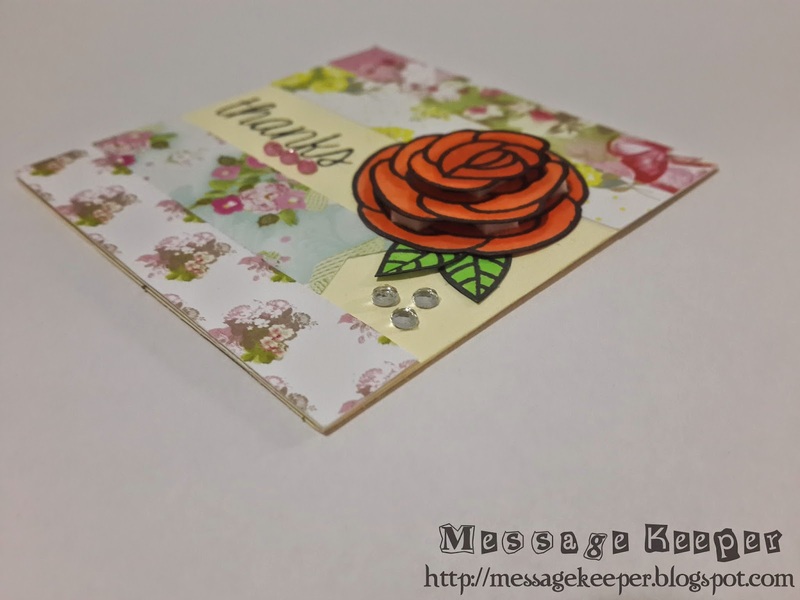 Having that in mind, I found that Try Stampin' On Tuesday Challenge #167 with Twist : Smell the Roses sketch as shown above is just perfect for my mini card! Three (3) different flowery pattern papers are trimmed accordingly to fit the 3"x3" mini card size. The last strip, I decided to have it differently by die cut it using a flag dies. Then, they are arranged accordingly onto a cream card base. I overlook the sketch arrangement a bit while arranging the pattern strips. Thus, I leave the sentiment portion on the third line instead of second line! I only realize it after I finished the card! On the fourth line, the flag strip is attached as there will be rose embellishment on the right. 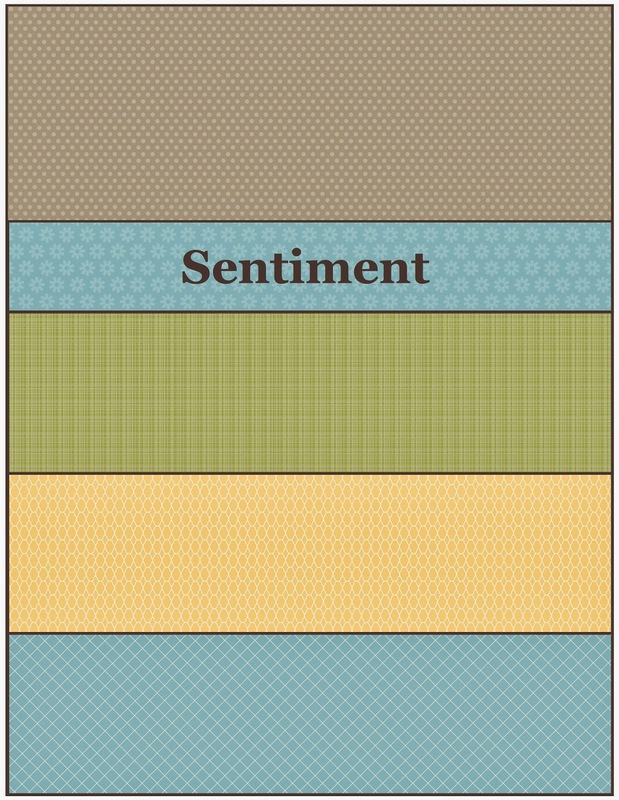 After the pattern strips has been attached, the sentiment is stamped on the blocked portion. On a white card stock, three (3) roses and two (2) leaves are stamped and colored using Copic markers. Then, the three (3) colored roses are trimmed so that they can be layered upon each to create some dimension using pop dots. Two (2) leaves are tucked behind the rose as decoration. The layered rose is then attached onto the card base on the right of the sentiment. As final touch, three (3) pink gems are added below the ending sentiment. Another three (3) white gems are added randomly below the leave to mimic water drops. Dimension : 7.62cm x 7.62cm or 3" x 3"
What a lovely card. Your rose is fantastic! Thanks for playing with us at Try Stampin' on Tuesday. What a beautiful card such pretty papers and love the rose as the focal point. Thank you for sharing with us at Inky Impressions this week, good luck! WOW! Gorgeous papers and the at bold blossom is stunning :) Thanks so much for taking the time to share with us this week at Try Stampin' on a Tuesday, we sure hope to see you around again soon!!! Balloon and Party Bird Congratulations! Rose of You're The Best Art Teacher! Chalkboard You're The Best Computer Teacher! Mini Doily Dies and New Blending Tool!